You are currently browsing the The Pet Product Guru blog archives for March, 2015. A good fence keeps dogs from roaming and improves the relationship with your neighbor. Many people install underground electric fences that will activate a dog’s collar when he gets too close. The dog will first hear a warning tone, then feel a mild shock. This sometimes makes dogs fear the yard which you don’t want. Put up flags to show him the yard’s boundaries, then walk your dog around the yard on his dog leash. Whenever he approaches the fence, tug on leash to return him to a safe area. Do this for a few days then allow him to experience a small shock. 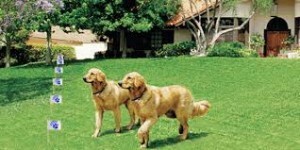 Soon your dog will get used to the perimeter of the yard and not go to the edge where he could get a shock. For the next steps, take your dog off his leash and play with him in the yard. Make sure he is always supervised at this point. After a few days, try him in the yard by himself. Observe him from a nearby door or window. Before long, your yard will be a great and safe playground for your dog. Great music all the time on THE EDGEWATER INTERNET RADIO NETWORK. Communicating with your cat isn’t an easy trick you can do to impress your dinner guests. It’s an important part of training your cat and reinforcing your bond with her. Teach her simple words like “no” or “down.” This will make her a better pet. Words like “Treats” and “dinner” will help her associate with something pleasurable. Did you know that cats rarely converse with other cats? They reserve their “meows” to humans. Feline language is a complex. It is a combination of f facial expressions, tail position, ear position and other forms of body language in addition to scent and sound. 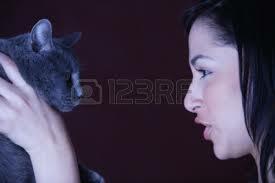 Cats learn to make demands of us by observing which of their sounds cause human responses. My cats do respond to certain words and even understand some sentences. When I say “time to go to work” to my cat Molly, immediately gets up off the couch and follows me to the door. If I say “snack time” to my other cat Millie, she runs for her dish. Cats understand much more than we give them credit for. Spend the weekend with us on THE EDGEWATER INTERNET RADIO NETWORK. Great music to keep you going! My cat, Molly is almost sixteen years old. Recently, I noticed some weight loss and occasional spitting up some undigested food. She also has a ravenous appetite. Some weight loss is normal in an older cat. The ravenous appetite can be several things. 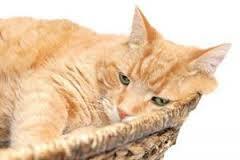 It can be a result of hyperthyroidism which usually affects older cats. Another reason is that when a cat gets older, the stomach lining doesn’t absorb as many nutrients which can cause an increase in appetite. It’s always good to take your older cat to the vet for a checkup. If your cat eats too fast, she can spit up some undigested food as is the case with Molly. I plan to take Molly for her checkup but otherwise she appears very healthy. If your cat loses lots of weight, vomits or has diarrhea, appears listless and has no appetite, get her to the vet right away as this could be something more serious. Six great radio stations play all the time on THE EDGEWATER INTERNET RADIO NETWORK! If you have an older relative, why not ask her if she would like a cat? 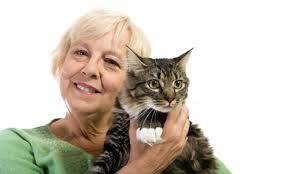 Older people who own pets tend to live longer independently than a senior who does not have any pets. Studies also show that a pet can lower our blood pressure and heart rate and even reduce the frequency of a serious illness. Your older relative may like the idea of owning a cat. It would keep both her mind and body more active. A cat is easier to care for than a dog. If your relative indicates that she would like one, you may suggest a short haired cat. There is less grooming and less cleaning up to do. Get some cat toys for her to play with the cat in the evening. This is the best way to make sure that both the cat and grandma get a good nights sleep. Tell your older relative to check out out great pop standards radio stations. Sinatra, Billie Holiday, Tony Bennett, Dean Martin, Bing Crosby, Doris Day and all of the unforgettable greats. STARLITE 365 . It can be found on THE EDGEWATER INTERNET RADIO NETWORK! Detecting a fever in a dog can be difficult. Some signs to look for are lethargy and panting. If your dog does have a fever, he may also refuse his food. A dogs normal temperature at rest is between 99.5 and 102.5 degrees. This number can climb higher when your dog has some kind of medical problem. Anything higher than 104 degrees requires an immediate call to your veterinarian.The most common cause for fever in dogs is infection, particularly from a wound or abscessed tooth. The most accurate way to detect a fever in your dog is to use a rectal thermometer. Ask your veterinarian to show you how. 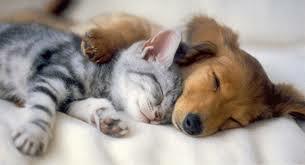 Do not try to do it by yourself or never administer any pet medication with your vets advice. Check out our six great radio stations on THE EDGEWATER INTERNET RADIO NETWORK! 1. Lucy, 2. Molly, 3. Oreo, 4. Kittens, 5. Smokey, 6. Princess, 7. Shadow, 8. Tiger, 9. Angel, 10. Missy. My cat Molly is number 2 on the list. Surprisingly, I found these names quite common. If you have some cool, unique cat names, please submit them. 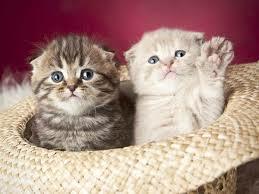 Cats become familiar with their names at a very early age. If you continually call your kitty by his name, you’ll be surprised at how quickly he’ll learn it. Cats can learn their name in as little as one week. Your cat will be much easier to train if it knows it’s name. You’re find great music on each of these great radio stations. 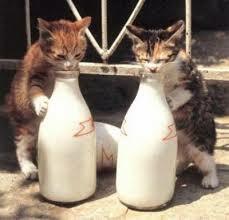 It’s natural to assume that cats love milk. Mice and cheese and cats and milk right? Wrong! While cats may like milk, it’s not good for their digestive system. Veterinarians generally advise against treating your cat to a saucer of milk. Adult cats do not product enough of the enzyme lactase to properly digest the lactase found in milk. Even a few tablespoons of milk can cause diarrhea and vomiting so why take the chance? Great music plays all the time on the six great radio stations on THE EDGEWATER INTERNET RADIO NETWORK. Crystal clear all the time! As your pet ages, watch for any changes in his health. If you dog is middle aged or older and has a pot belly, it may not be because you give him too many dog treats. It may be that he has Cushing’s disease. This is a hormonal imbalance that occurs when a dogs adrenal glands begin secreting too much cortisol. It’s a common condition among Poodles, Boston Terriers, Dacshunds and Boxers. Symptoms of Cushing’s Disease include, lethargy, excessive thirst and urination, and a pot belly. Uniform hair loss on both sides of the body,vomiting and diarrhea may also occur. If your older dog develops any of these symptoms, talk to your veterinarian. Treatment for Cushing’s Disease varies but it is most effective if it’s started early. For mature and young cats, introduction is crucial when meeting a new dog. Prepare your dog before the introduction. Refresh your dogs manners by giving him some exercise to burn off energy before the “big” introduction. Before the introduction, place your dog behind a baby gate or keep the dog on a leash. Let the cat explore at her leisure. Never hold or restrain your cat, she needs to have an escape route if necessary. Sometimes building a relationship between a dog and cat can take years to develop and other times, the two can instantly bond. No matter what type of relationship develops, make sure that your cat has space of her own. Your dog should not have access to this space. Keep litter boxes in a place that your dog cannot access. This will help kitty do her business in private. How about some great music now? Check out the six great radio stations on THE EDGEWATER INTERNET RADIO NETWORK. What’s The Proper Age to Adopt A Puppy? 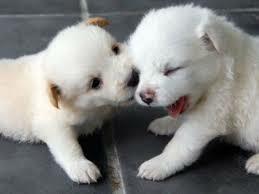 The best time to adopt a puppy is when they are between eight and sixteen weeks old. It’s a great time to introduce him to new places and people. 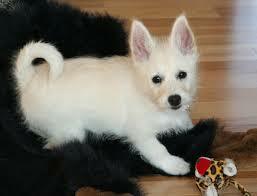 If you have small children, I would wait until the puppy is five months old. You may ask why not adopt sooner? When a puppy is part of a litter, he learns all sorts of valuable lessons. This is the time to learn important life skills from his mother, such as eating and grooming. It’s important that he spends this time with his mother. 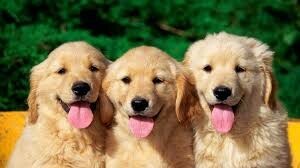 Being with other pups will help him learn how to socialize. If he’s taken from his mother too soon, he may not thrive or socialize well with people or other dogs. Also, the first month he will be on a milk-only diet. At 3 to 4 weeks, he starts to be weaned from his mother and by 8 weeks he will be completely weaned, eating just puppy food. You don’t want a young, un -weaned puppy as he’s harder to feed and care for. add comment Comments Off on What’s The Proper Age to Adopt A Puppy?